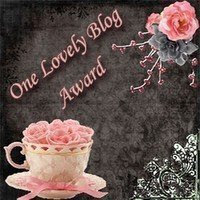 Karen Beth at The Pink Bookmark recently awarded me One Lovely Blog Award, here. 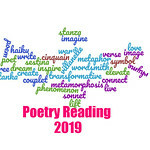 Karen Beth’s blog is new to me, and I hope you will all check it out too. Who are some new-to-you bloggers? There’s a giveaway for 5 copies of Girls in Trucks by Katie Crouch, here; deadline is April 29, 2009, 11:59 PM EST. 5 Joanna Scott, author of Follow Me, books giveaway, here; Deadline May 4, 11:59 PM EST.